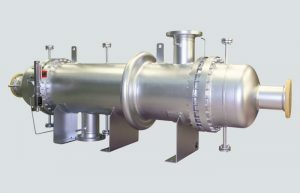 Shell & Tube heat exchangers are the most common design for many applications. We provide a wide variety of product lines based on the most suitable design and materials to ensure a cost efficient and reliable solution. The full range provides standardized product lines for an optimal price/quality ratio as well as customized designs for the most demanding duties in oil & gas, power generation, marine, refrigeration and many other industries.